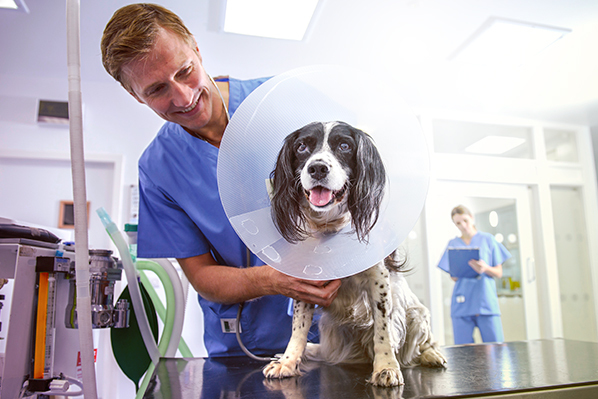 Caring for a pet comes with considerable costs – from food to treats to grooming – but should your animal companion be faced with an unexpected medical emergency, you could be facing substantial added expenses. Much like you might save up for potential personal emergencies, prepping for a pet emergency can help ensure that an unexpected animal crisis doesn’t leave you in the difficult position of choosing between the health of your pet and the health of your financial future. If a pet emergency happens before you have a chance to save up, using a personal loan could be a viable option. Personal loans can be used for a variety of personal reasons, including medical expenses, family emergencies, weddings, funerals and vacations. You can help lower the likelihood of a pet emergency by keeping your animal as healthy as possible with proper food, exercise and attention. Make regular visits to the vet part of your pet’s routine and be sure to educate yourself on the signs of potential health problems particular to your pet so that you can recognize and address issues before they become more serious – and more costly. Purchasing pet insurance can be a good way to reduce the costs of both regular vet visits and pet emergencies. With pet insurance, you pay a monthly premium and the insurance helps offset the cost of medical care for your pet. Depending on your provider, your pet insurance might have an upper limit on the yearly coverage amount. Another consideration is pre-existing conditions. If you delay getting pet insurance, and your animal develops a condition, that insurance could end up costing more. When shopping for pet insurance, make note of what is and isn’t covered under each policy you’re considering, and read the fine print to determine whether it’s a good fit for you and your pet. Even with the due diligence of preventative care, accidents and emergencies still happen. Have a protocol in place and know what costs you can anticipate should such an emergency arise. These are some of the most common emergencies for some of the most common pets and their average associated costs. Note that costs can vary from state to state and from service provider to service provider, so it’s best to do some research in advance and know exactly where you’ll go when if an emergency does arise. In addition to costs, be sure to check hours of operation. Accidents don’t always happen during business hours, so it’s helpful to have a few options. Write down or store the appropriate contact numbers in your phone so they’re easily accessible should you need them. The American Veterinary Medical Association estimates that pet owners typically spend the following on medical treatments and services for their pets each year. Dogs: $227 per animal and $378 per household (since many have more than one pet). Medical costs generally increase as pets age, especially among species that are prone to congenital conditions. Detecting signs of disease and disorder early can help your vet remedy them before they become more complex and more expensive. While your budget might include a line item for pet care already, it’s important to incorporate emergency pet savings into your spending plan too. Just as a financial buffer can provide relief in case of a personal emergency, emergency savings specifically earmarked for your pet can help cover the cost of an unexpected visit to the vet or a critical medical procedure with a high price tag. Beyond saving up, pet owners can also shop around and compare prices at different pet emergency service providers to help lower costs. This should be done in advance if possible. While researching costs, be sure to consider value and not just the bottom line. You may save time and money by choosing a more experienced veterinarian who can more efficiently and effectively diagnose and treat your pet, so read reviews and ask for recommendations when choosing a provider. 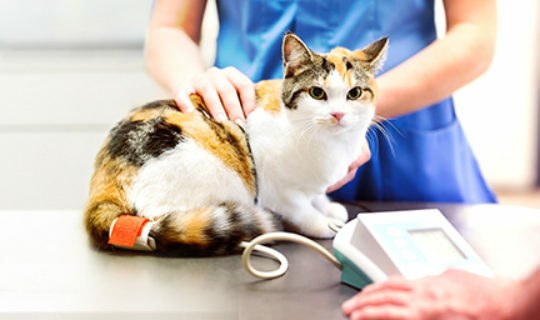 If money is tight, communicating openly and honestly with your veterinarian can give them an opportunity to address your financial concerns and present you with cheaper medical alternatives or a payment plan, so that you don’t have to compromise your pet’s health or your financial health. If your emergency pet savings still aren’t enough to cover the cost of treatment, consider a personal loan as an alternative to liquidating your bank account or overcharging your credit card. A personal loan is an unsecured loan that allows you to receive funds quickly, and gives you flexible terms of repayment. Finally, do some research on federal, state and local non-profit programs that provide financial assistance to pet owners in need. Note that some of these programs only provide financial assistance to treat specific kinds of diseases, while others offer more comprehensive assistance. The Humane Society has a list of these types of programs, including a state-by-state breakdown, so you that can find the one best suited to you, your location and your pet. There’s no way to predict if and when a pet emergency will happen. But if and when it does, you’ll undoubtedly want to focus on getting your pet better without worrying about costs. By knowing what to expect and preparing contingencies for such scenarios, you can enjoy the peace of mind of knowing you have a plan.